Horece and Marivella Esquivel, along with their four children, received the keys to a brand new place to call home on their property Friday, Nov. 30. 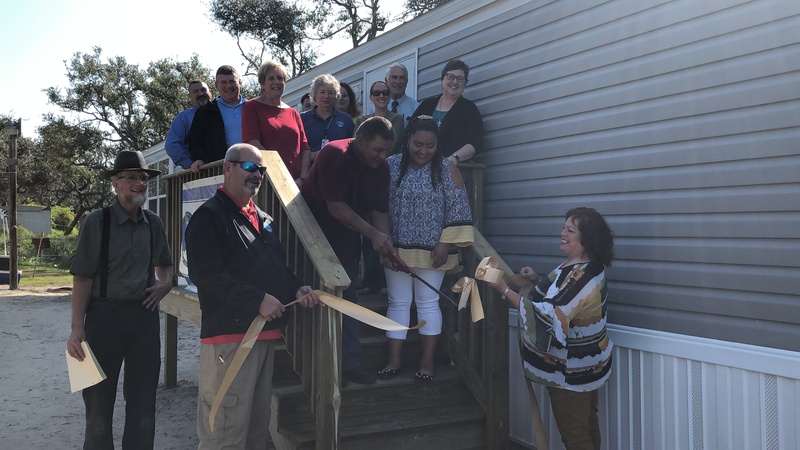 With help from the Coastal Bend Disaster Recovery Group (CBDRG) and its partners, the Esquivel’s received a new three bedroom home after their previous home was destroyed by Hurricane Harvey. The family evacuated to Luling when Harvey hit. Their eldest son, Manuel, stayed in Rockport with fellow volunteer firefighters to help in the immediate disaster response. When they made their way back to Rockport, their belongings were scattered around the property. The roof on their home had blown off, windows blown out, and walls knocked down. While awaiting assistance, the CBDRG reached out to the Esquivel’s and took their case to the Unmet Needs Committee. Through the Rebuild Texas Fund, CBDRG was able to purchase 11 manufactured homes with one of them going to the Esquivel family. 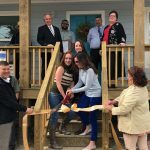 CBDRG also partnered with Mennonite Disaster Services, who built the porch and steps for the new home. 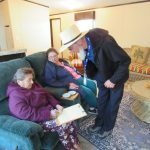 The home was filled with perishable and non-perishable food items through CBDRG’s partnership with the Coastal Bend Food Bank. Zavala’s Furniture in Rockport worked with CBDRG to purchase some furniture for the home as well as donating a bunk bed and mattresses. Zavala’s also delivered and assemble the furniture free of charge. CBDRG, in partnership with several other non-profits, is currently working on 111 major reconstruction projects and have completed 55 projects this year. They are currently seeking volunteers ranging from skilled-laborers to general help. If one is interested in volunteering, visit their website www.coastalbenddrg.org/volunteer.